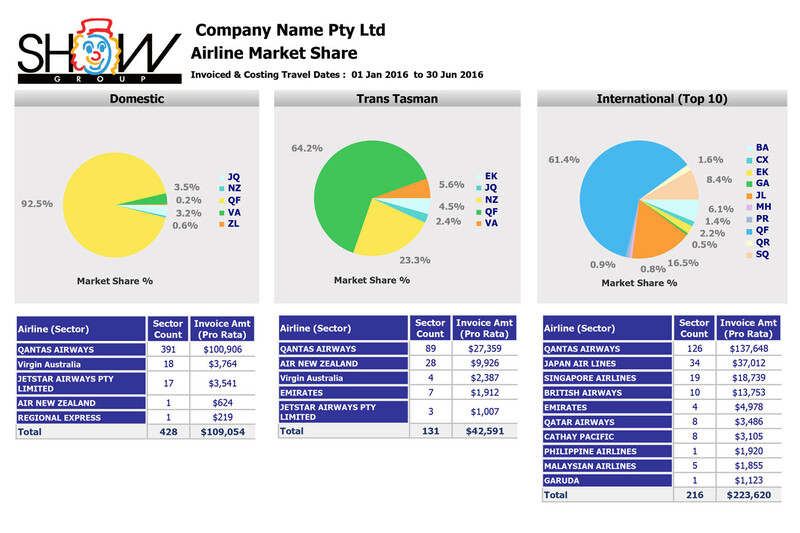 Show Group are in a unique position with our reporting modules, as we are the only Travel Management Company in Australia currently to have real-time “live” reporting and access to the Tier 1 “Power User” module. Show Group have highly trained in-house Business Analysts who are capable of building new reports, documents and dashboards. 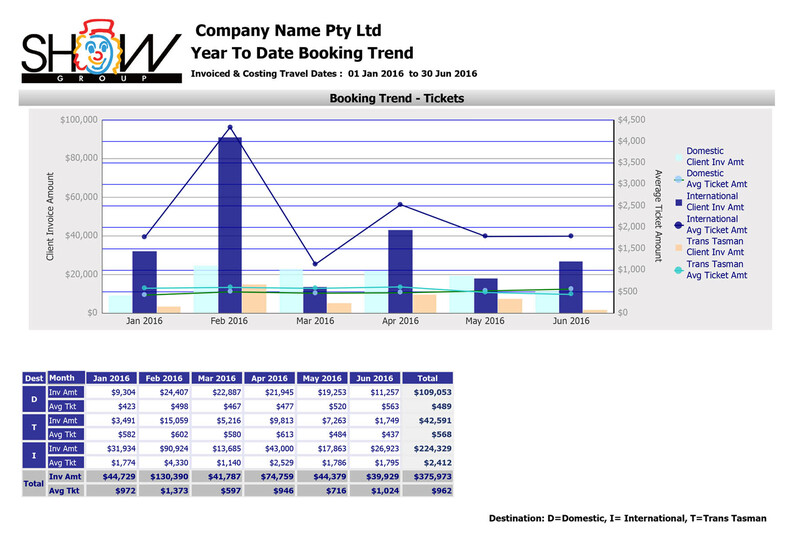 This provides Show Group with the advantage of offering tailored reporting solutions to our valued customers. Any report can be scheduled for automatic delivery upon request. Interactive scorecards, dashboards and enterprise reports. 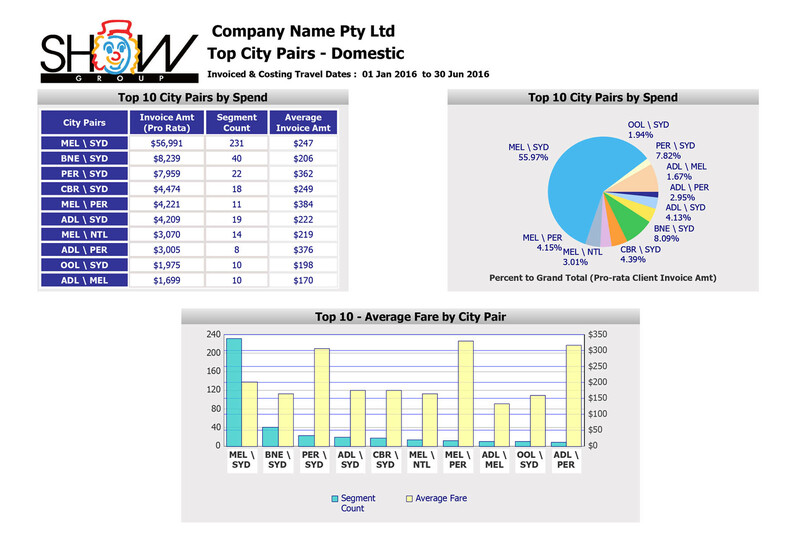 Communicate effectively using highly visual and intuitive reports. Save time by scheduling common reports. View, design and interact via a single web interface. Reduce time to define, create and deploy new scorecards, dashboards and enterprise reports quickly. Full interactivity in dashboards allowing for drill down capabilities. Intuitive drag and drop menus. Advanced calculations, predictive data mining analytics. 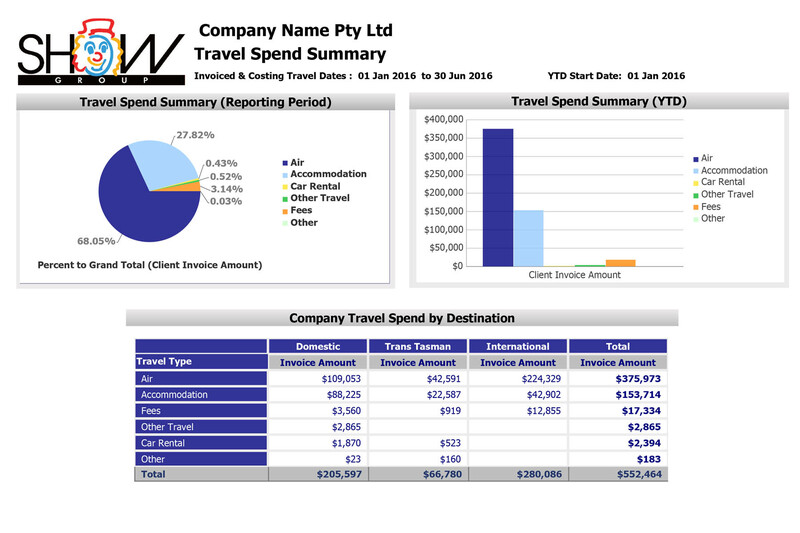 Design of reports on request.